Coach Bofto the Panthers were one of the best football programs ever in the state of Washington. In recent years one could easily make the bold statement that Wenatchee High School has produced the most Division 1 FCS and FBS talent of any high school football program in the Central Washington region. They have produced four BIG TIME Division 1 football players over the past six football seasons, Cody O’ Connell (Washington State University), Isaiah Brandt Simms (Stanford University), Tre Adams (University of Washington), Cy Sirmon (University of Montana). There is another stud football player from Wenatchee who is ready for a breakout senior season and he is a player who I have followed since his sophomore season and I love what he brings to the table as a football player. 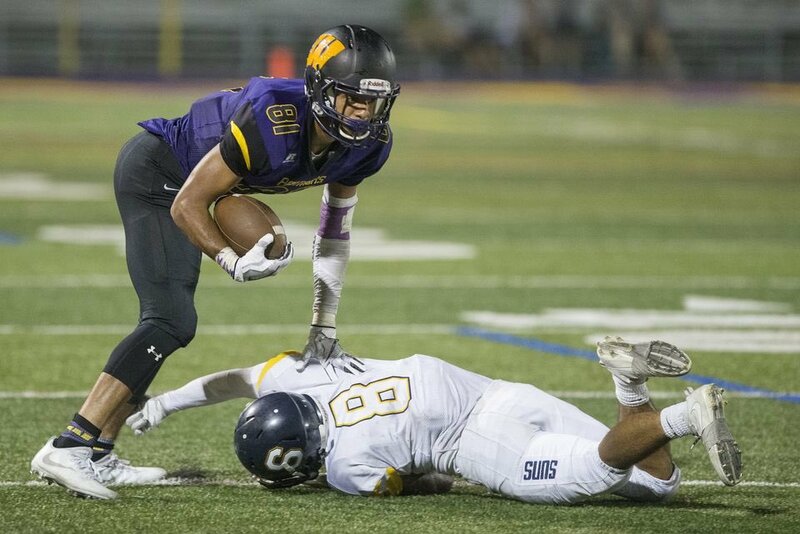 Darius Carlson of Wenatchee High School in Wenatchee, WA. is a 6’ 2” 200lb Class of 2019 Wide Receiver, Strong Safety and Outside Linebacker. I was impressed with Darius when I saw his film as a sophomore and I am even more impressed with him 18 months later. Darius has turned himself into a complete football player on both sides of the ball. 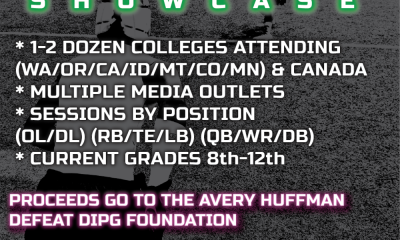 We all have seen players who are bigger in stature at 15 -16 years of age, who are productive in their freshman and sophomore seasons because they have the size to compete at a varsity level but never improve their skills and techniques and therefore really never improve as a football player by the end of their high school career. Darius is not that kind of a guy. 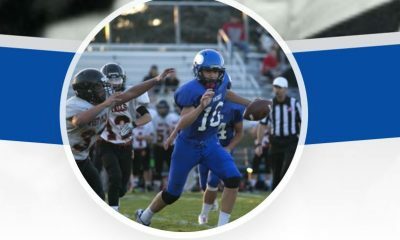 He has worked hard to improve in all facets of the game and I am excited to share his film and bring recognition to him through this article. Off the field, he is a two-sport athlete as he also is a member of the Panthers basketball team. Darius is doing great work in the classroom as well, with a 3.00 GPA and is planning to take the SAT in early June. I really agree with Darius about his physical attributes that he brings to the game. 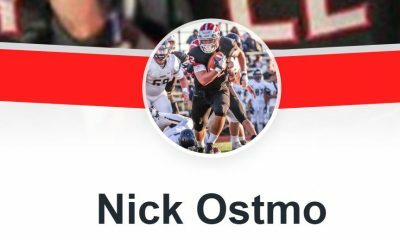 When I watched his highlight film (I have attached the link to his junior season highlight film below) I see a complete wide receiver who has great hands and a big catch radius as seen at the 2:40 and 3:25 mark of the film. At the :16 (second play of film) mark of the film I see a very willing blocker from the wide receiver position who demonstrates some nastiness and physicality sticking with his block. Darius does a great job creating separation (separation = the holy grail for any good receiver) by running his routes crisp, with active hands, body control while the ball is in the air and winning at the line of scrimmage as evidenced 2:07 and many times throughout the film. One area of Carlson’s film that I came away very impressed with was the defensive side of the ball. I came away with the belief that this young man could help a college team at the higher levels perhaps as a Strong Safety or an Outside Linebacker. I believe he has the size, athleticism and the physical nature required to play defense at the collegiate level. Darius does a TEXTBOOK job at the 1:03 mark of the film dropping into his flat zone in coverage and defending the flood route to perfection, taking away the 12 yard out route by getting proper depth and then when the pass is dropped to the flat route Darius does a great job of attacking the receiver with ferocity and punishing him for a 3-yard loss. It is a great play by Darius and shows athleticism but most importantly shows coachability to learn his assignments and then execute during a REAL game. I love that. loss. At the 1:38 mark he does a great job of dislodging the ball from the wide receiver. 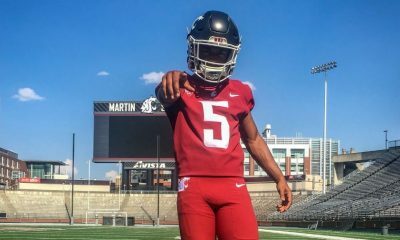 On the recruiting side of things, Darius said he has had interest from Washington State University, University of Idaho, Eastern Washington University, Portland State University, and Oregon State University. I think as this summer unfolds and he has the type of senior season I expect him to have he will be in a great position to play college football at one of the higher levels. Like I said early in the article, Carlson is a player I began watching as a sophomore and I love to see a player who improves at this great game and I think this season we are going to witness a very dominating football player all over the field. Editors Note: Darius Carlson is 6’2″ and 200 lbs and has a frame that he will grow into. A great looking athlete from a great football town.